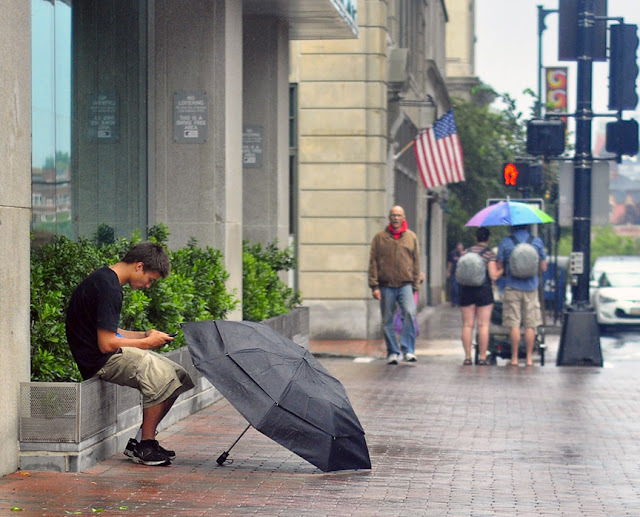 An umbrella taking a break in front of the Public Library. 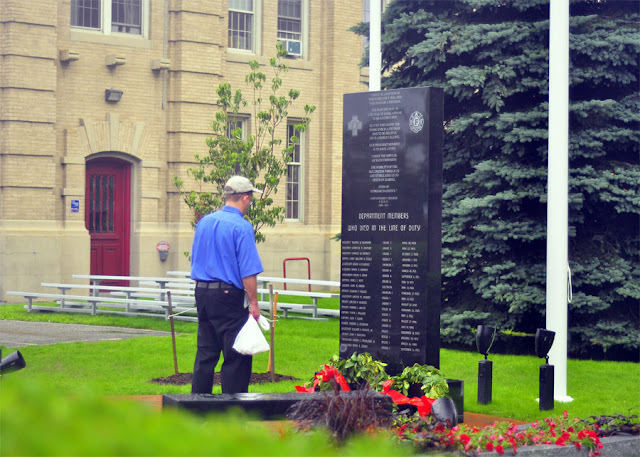 A man checking out the new Fallen Firefighters Memorial next to the Central Station. 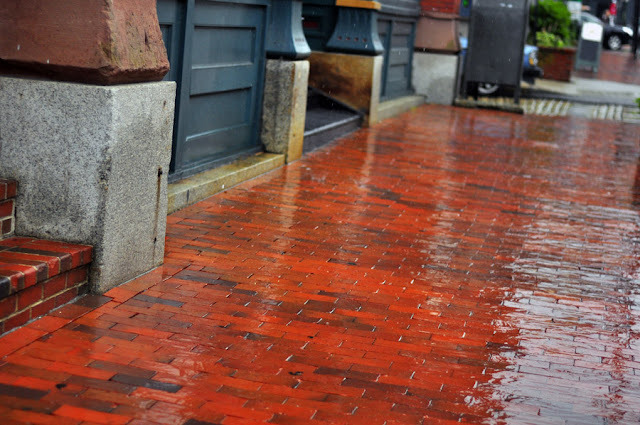 Wet brick on Middle Street.